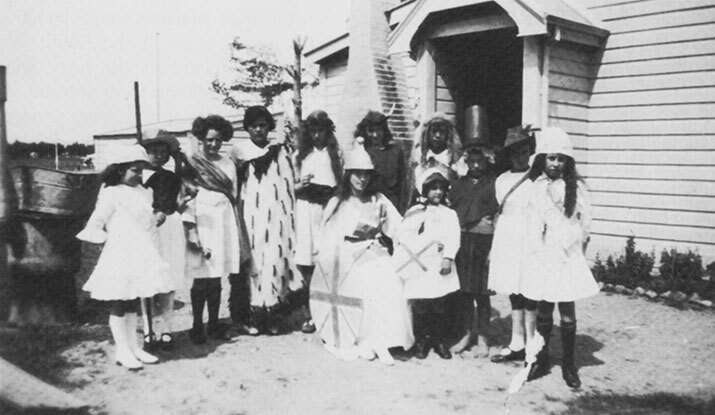 Kahutara School 1905. This is the oldest known photo of the school, with Miss Fellingham on the gig. 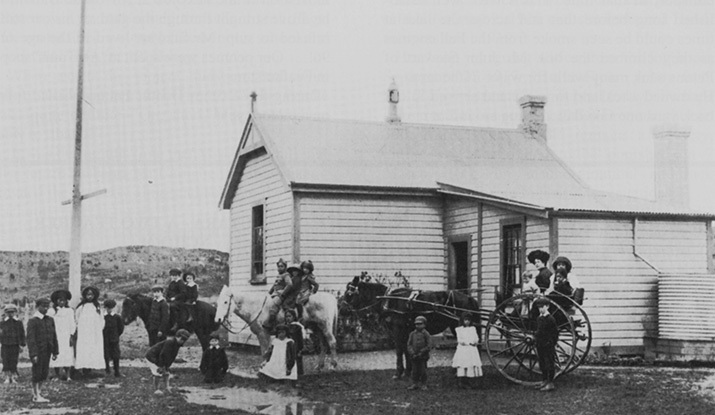 Our small rural school was established in 1898 after the Roydhouse family moved into the area and needed schooling for their three children. The founding school role consisted of between 15 -18 pupils. Electricity was not connected until the mid-1920’s. The school has steadily grown over the years and now supports over 100 students, and in 2014 we installed the high-speed fibre-optic cable connecting us to the internet. Our school still has students on the role related to those original pupils, showing what a close knit community we live in. The school celebrated its centenary in 1998, and a historical book ‘On the Right Side of the River’, reflecting some of the school’s history, is available in the school library, or purchased from the school office. 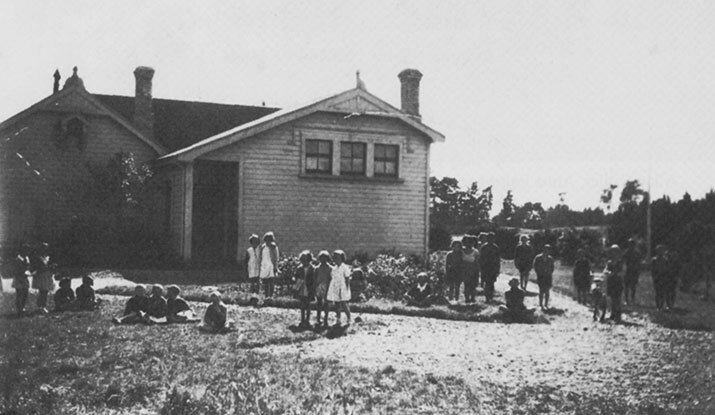 Kahutara School 1921. Dressed for the school production “Rule Britannia”. 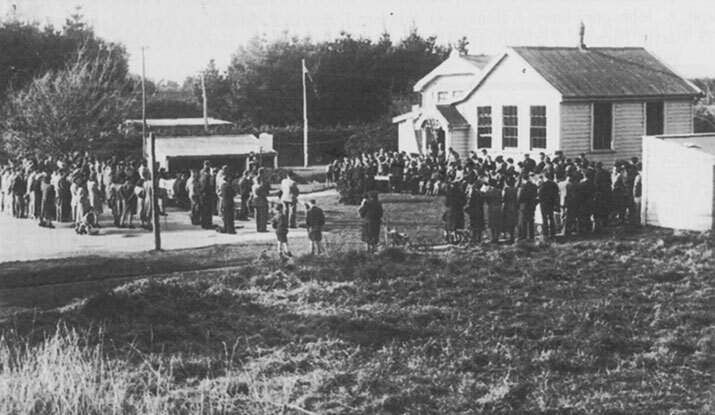 Kahutara School 1939. The boy to the left is Colin Pound with one of the first bicycles in the district. 50th Jubilee Celebrations – 1948.